I’ve owned this great mid century teak ‘rocket style’ lamp for a little while now, and it has always donned the cream, coolie lamp shade. Although reasonable in style, it just never felt quite right. With the 3 legged tripod base, and the narrow, tapering central column the wide based coolie shade was a little top heavy. How much though I never realised until just recently when I came across this fantastic, original teal and gold drum style lamp shade. 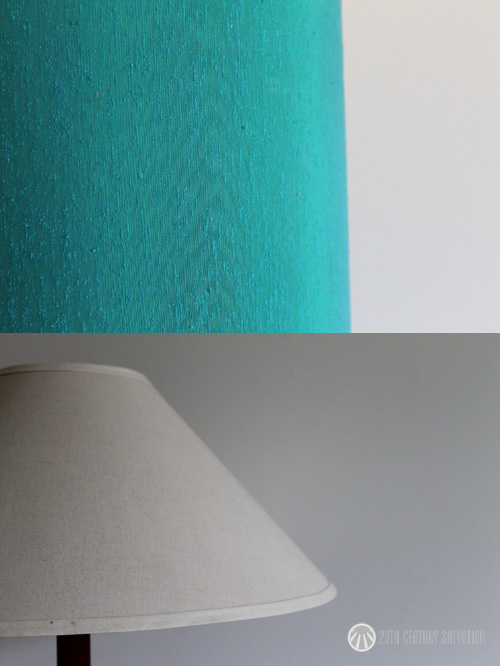 With the teal shade firmly in my possession I was keen to try it out on the rocket lamp and see how it looked. 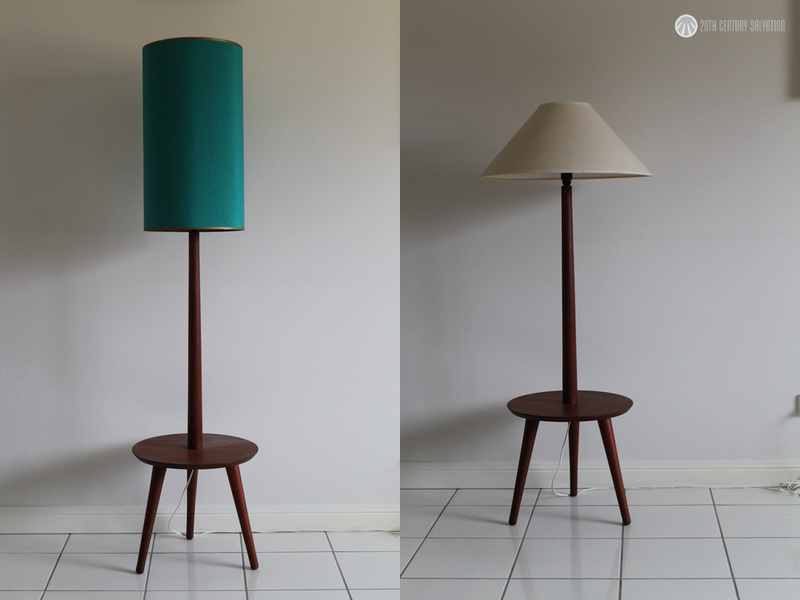 I was super impressed not only with how well the teal contrasted against the teak, but also in it’s proportions. The drum style shade seems to suit the lamp perfectly, and allows the overall flow to continue on up, compared to the coolie style shade which I feel halted the flow – the shape – the design of the original lamp! 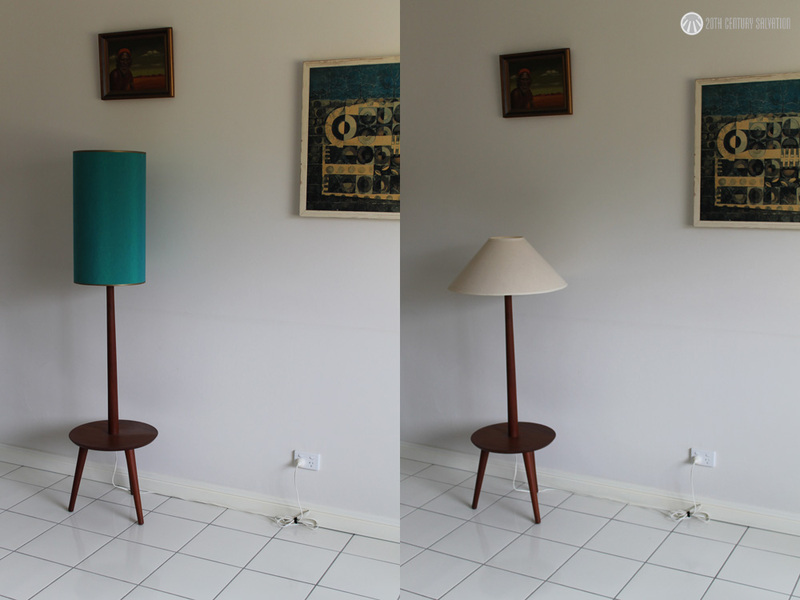 Now residing in our lounge room, with the teal shade firmly atop, the teak rocket style lamp will soon be joined by another teal coloured item. Possibly my favourite piece. Blog post and images to come!